Havenly, based in Denver, makes interior design simpler and cheaper. 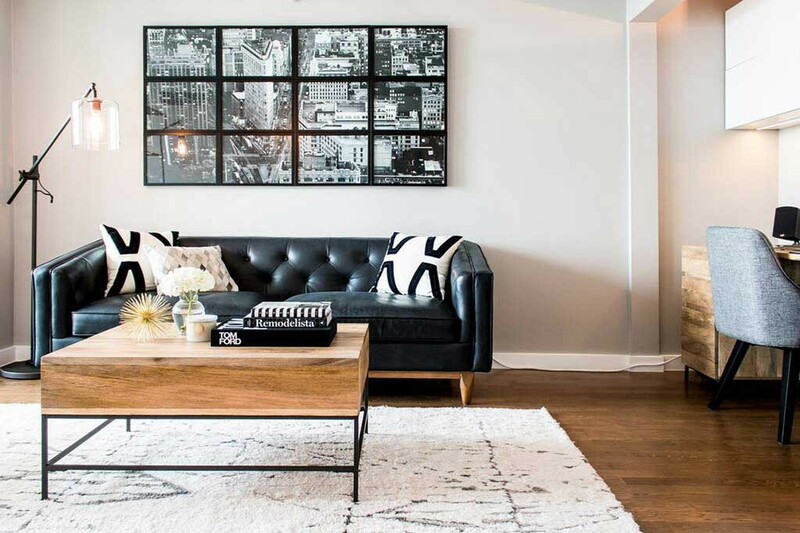 Rather than paying outrageous fees for a traditional interior designer, Havenly connects you to a real interior designer for a low fee starting at just $79, with their most expensive package at just $149. Traditionally, interior designers are extremely expensive. On average, an interior designer will charge a flat fee of $200—$300 to just come see the space. Then you have the additional fees, whether it be by the hour or square footage. In the end, most homeowners who hire interior designers or decorators will spend an upwards of $5,000, and that’s not including the furniture and accessories costs. These are the challenges sisters Emily Motayed and Lee Mayer faced when moving from New York to Denver. With an empty house and near empty wallet, the sisters needed a solution to fill their homes without all the costs attached to a traditional interior designer. So, they stepped out of their corporate consultancy and business development careers to follow their father’s entrepreneurial footsteps, creating Havenly. The process begins with a style survey, to understand your style, design, and furniture needs. You’re then matched with one of Havenly’s 100+ designers, located all over the world. Designers will work with your existing budget and previously owned furniture to find more pieces to match the room. In the more expensive package, they even create a 3D mock-up of the room to show you exactly what it will look like. Their algorithm is the center focus, understanding a customers design preferences in order to recommend designers and even leads you to furniture if you don’t want to go the full interior designer route. Founded in 2013, Havenly got their real start in early 2015. January of 2015, they were selected as one of the first companies to participate in MergeLane. The 12-week accelerator program is specifically focused on startups founded by women, and connects them with industry-leading mentors to increase the companies’ growth trajectory. The program, which took place from February to April, guarantees each company $20,000 in funding, with an opportunity to raise an additional $100,000 by the end of the program. However, before the end of the program, in March 2015, Havenly raised an initial $1.5M in funding through two rounds outside of the accelerator. With 85% of venture funding for new startups going to companies founded by men, Mayer has discussed her experience as somewhat of a reality check, asked questions by investors that male founders would never be asked, such as details about her marital status and family plans. While her experience showed an imbalance in the startup world, the sisters overcame the rejection and discrimination, and have now raised a total of $13.3M in funding. With recognition from Forbes, Vouge, The New York Times, and other prominent outlets, Havenly has become one of the top players in the industry. The company now employs 50+ people in their Denver offices, and continues to grow. Just this past May, Havenly added a registry tool to their platform, allowing brides-to-be (and anyone else who needs to create a home wishlist) a professional designers advice for free when choosing items. While it’s a big change from their original concept, the new tool is based off of their initial algorithm and data collection. Learn more about Denver’s own Havenly here.